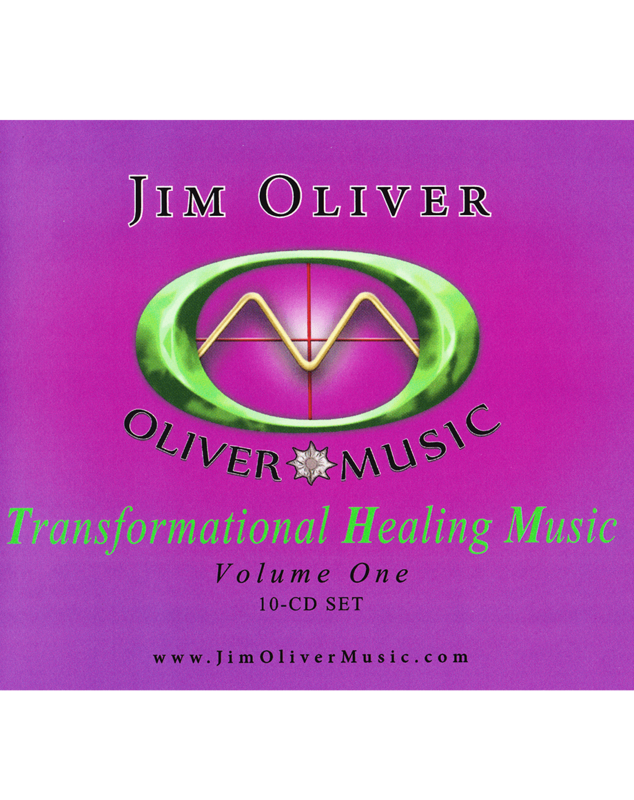 Utilizing Music as the Master Integrator of Higher Frequencies $316 value – CDs only $157 includes FREE shipping and handling, MP3s only $97 This special set contains 23 music tracks totaling nearly 10 hours of healing, nurturing, therapeutic, transformational healing music by healing music pioneer Jim Oliver. This is music you will use over and over again for decades. Some suggested uses: massage & bodywork, energy work, walking, being in nature, creative endeavors such as writing, painting, sculpting etc. Integrating higher frequencies into the physical body. Medical procedures, preparation, recovery, after care and even transitioning into formlessness. Plants and gardens love Jim’s music. For gracefully shifting negativity into wholeness and creating higher vibrations in offices. It’s the stress that makes you tired so listening to Jim’s music actually helps to rejuvenate you. People tell us that they actually feel refreshed at the end of the day rather than exhausted. Jim has composed more than 3500 hours of healing music in the past 30 years and has taken great care in selecting these pieces to offer you a wide variety of music to compliment your life and provide you with music for every need. This is the music and guided meditation from the first show in a series of 12 shows titled Music Meditations and Inner Journeys broadcast on The World Puja Network. This CD/MP3 features original music composed to implement the ability to receive higher frequencies with grace and ease. On this MP3/CD you will receive a 12 ½ minute music meditation and a 22 ½ minute music meditation and a 22 ½ minute guided music meditation. Nowhere else is this available in this format at this time! This is the music and guided meditation from the second show in a series of 12 shows titled Music Meditations and Inner Journeys broadcast on The World Puja Network. This CD/MP3 features original music created to implement the ability to resonate with your Divine Essence. On this MP3/CD you will receive a 13 ½ minute music meditation and a 25 ½ minute music meditation and a 25 ½ minute guided music meditation. Nowhere else is this available in this format at this time! People have been asking repeatedly for the music from these videos. Expansion, deep self-knowing, integration, and grounding. This is only available in this collection at this time. The reviews and testimonials are amazing. This recording was created to help integrate all the inner work and various self-help tools that humanity is utilizing at this point in time. Integration is crucial to mind, body and spirit and to creating coherence and flow. 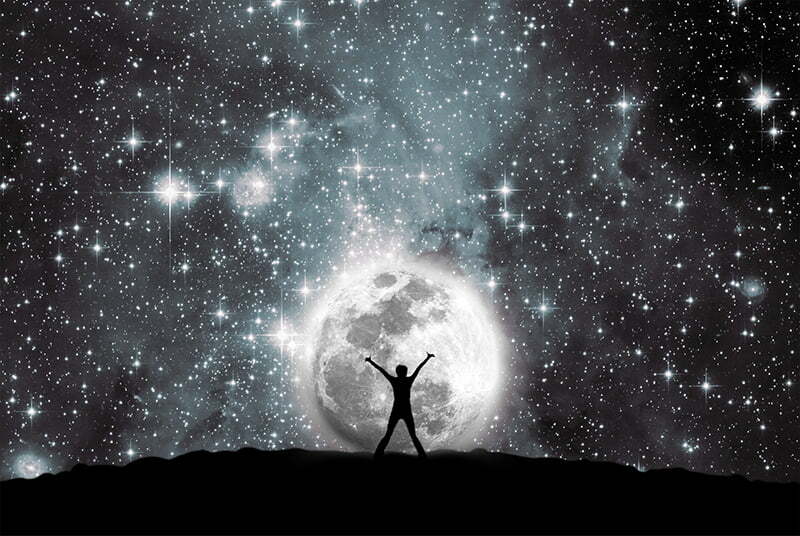 Coherence in the field is essential to healing and well being…Integration of All That Is into your daily life. The Light of Integration is the 2012 New Mexico Music Award Winner for Best New Age Music Production. 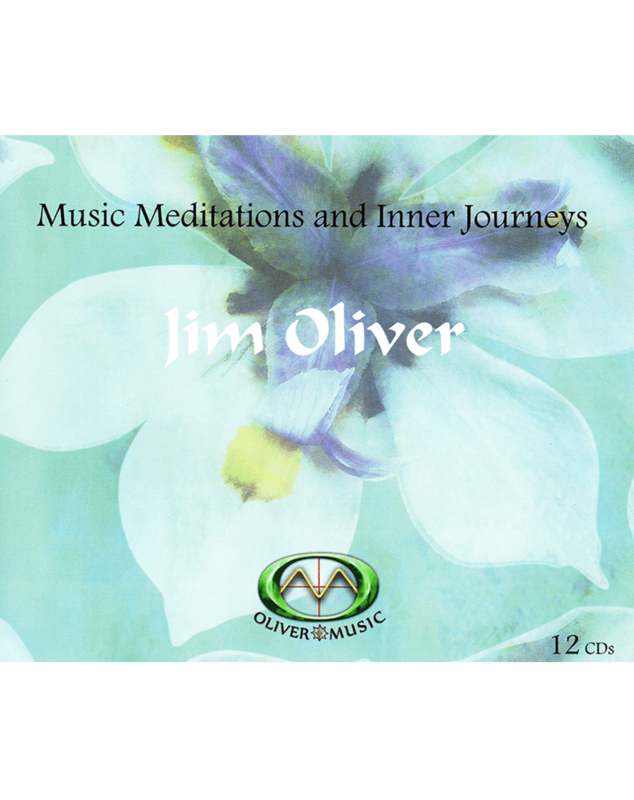 Two incredible pieces of music composed by Jim Oliver to call forth the jubilance of your true nature. Letting go of negative patterns are so much easier when listening to these pieces. A fabulous collection of instrumental pieces featuring L.P. How on violin and several other fine musicians as Jim weaves intimate compositions on grand piano and keyboards. The gentle percussion is atmospheric and inner peace is instilled deeply into the listener. This truly is a sonic massage for the mind, body and soul. Constellation, First Light, Reverie and Evening Journey. An amazing MP3/CD for children and the inner child in all of us. Play this for your children at night or for yourself when you feel frazzled. This composition slows down your breath and soothes your nervous system and signals the relaxation response. This music has the energy of rocking a baby in your arms …so soft and gentle. This is an excellent piece of music to use to integrate the higher frequencies. A spontaneous music meditation composed with Kenji Kumara present in the music studio. This quantum instrumental weaves itself into the depths of your soul and takes you on an inner journey to the truth of existence. An infusion of quantum energy. Use for deep meditation, healing and transformational experience. This piece is melodically dynamic and engaging but still exceptionally soothing. The music has a quiet joy and a unique way of carrying you along into very pleasant states of serenity. Ideal for listening to around the house while doing housework, cooking, cleaning. Meditation, massage, children, caring for the elderly. This piece was composed specifically for use while you may be engaged in other activities. There is a foundational calming influence that supports you in whatever activities you are participating in from dusting the house to cutting vegetables to helping kids with homework!! Also Ideal for listening to around the house, meditation, massage therapy, frisky children, and elderly care.